Chai is a classic drink in Indian culture. It is basically a blend of black tea with various spices cooked with water and milk. 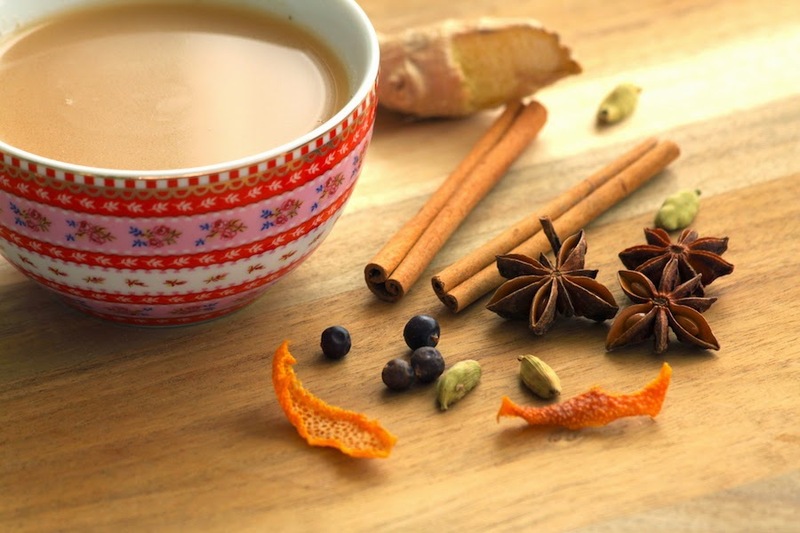 The secret of a good chai is all in the spice blend. There are plenty of ready to use chai spice blends available in grocery shops, to which all you need to do is add boiling water. My own version is made from scratch, boiling all the spices and condiments together to obtain a very aromatic drink that offers extra depth and warmth. The amounts used of each spice might depend not only on our personal preference but also on the quality of the ingredients. For instance, if the ginger is very fresh and depending on which ground is comes from it might have much more essential oils that make it very strong. In that case, I would use sometimes 1/3 of the amount of ginger that I would use if I buy ginger in another season or from another shop when it is less strong. 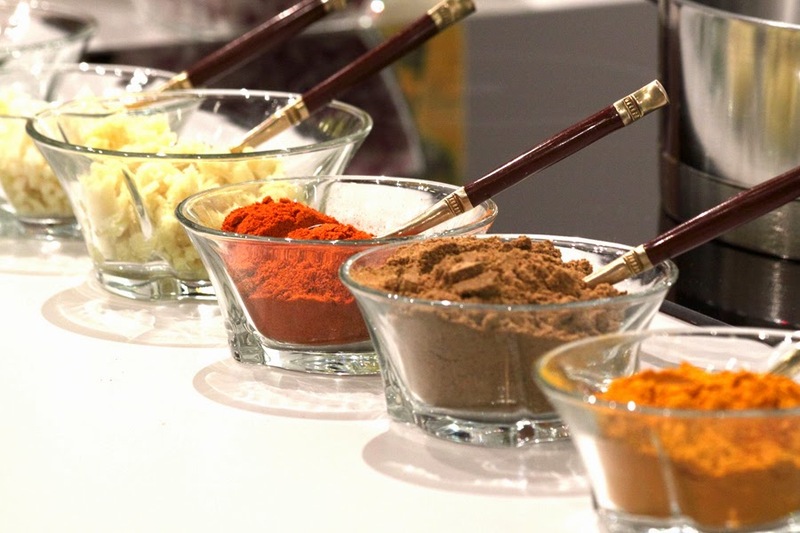 Feel free to play to be guided by your inner senses and decide which proportions of spices best fit your taste buds. Pour all ingredients (except the rooibos) into a double layered saucepan. Place over medium heat. Allow to heat until it comes to a boil. Stir the chai to avoid it to overflow. Lower the fire and let it simmer with a lid for 5 minutes. Turn off the heat. Allow to steep for 15 minutes. Bring to a boil once again, turn off the heat, add the rooibos and stir well. Allow to steep for a few more minutes. Strain carefully into a cup, and serve. Add more sweetener if needed. If the spices are fresh, I use the same cinnamon stick, star anise, cardamom, ginger and cloves again to make 2 more batches of the chai (within 48 hours, no longer than that), as they usually preserve a lot of taste still. So don’t throw them away immediately after the first batch is done, unless you notice they already gave all the taste to the first chai.